In 2012, longtime Kingdom Hearts director Tai Yasue told us his dream world would be Toy Story. Now it’s happening. 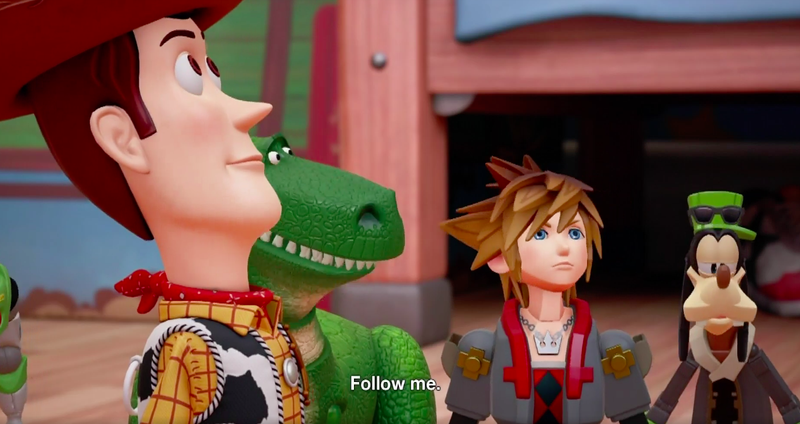 Buzz Lightyear, meet Sora in Kingdom Hearts III, which finally has a release window: 2018. Of course, knowing series director Tetsuya Nomura, “2018" could turn into 2024 pretty quickly. Kingdom Hearts III, the third mainline game in the series, was first announced at E3 in June of 2013, alongside Final Fantasy XV. Since then, fans have been waiting... patiently. Developer Square Enix released Kingdom Hearts II in 2005. Since then there have been quite a few spinoffs and re-releases, including the compilations Kingdom Hearts 1.5, Kingdom Hearts 2.5, and Kingdom Hearts 2.8, and if you thought reading that sentence was confusing, imagine what it was like to write it.